How to Use Facebook in Your Job Search » Wordhelper » Editing, Writing, Resumes, and More! This is part III in a three-part series on how to use social media in your job search. In parts I and II of this series, you discovered the ways in which using LinkedIn and Twitter can lead to success as you look for your next (or first) job. Many of the ideas in those posts were gleaned from my contact with Jeff Sheehan, co-founder of Transition Sherpa, a company that uses a comprehensive approach to help their clients find suitable employment. Jeff also has suggestions on using Facebook in your job search. Use Facebook to vet companies just as much as they vet you. How? Take a look at a company’s Facebook page and read some of its posts to get a sense its corporate culture. Then click on the Photos tab and scroll through the images to get a feel for the ages of the company’s employees. If you’re a baby boomer and you don’t see photos of anyone over the age of 28 or so, that firm might not be a good fit for you. The same could hold true if you’re a millennial and all the photos show employees who are 40 and older. The last thing you want is to be out on the street again because you chose to work for a company that wasn’t a good cultural fit for you. Like the Facebook pages of companies you want to work for, since many of them will post job openings there. 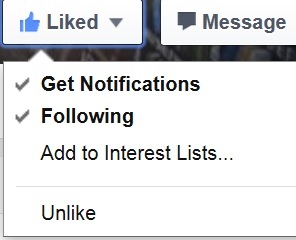 After you click on the Like icon, click on the down arrowhead to the right of Liked, and click on (check) Get Notifications. That way, anytime you log into Facebook, you won’t miss any of the company’s updates. 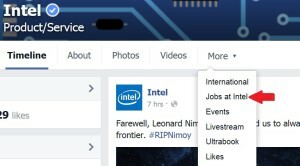 Larger companies, like UPS and Intel, will actually have a section of their Facebook pages set aside for job postings. You can usually find it by clicking on the down arrowhead to the right of the More tab below the banner on the company’s page. The red arrow in the image to the right shows how to find the job postings on Intel’s Facebook page. Regardless of the privacy settings on your personal Facebook account, make sure you don’t post or link to anything that could reflect negatively upon you (e.g., photos showing you drunk, in a provocative pose, or doing something illegal; political posts or anything that might be controversial; etc.). Don’t allow other people to tag you in posts either. If you have any content like that on your profile, delete those posts, photos, and links. While you’re at it, clean up all your online profiles, not just Facebook, Twitter, and Linked, but Google+, Pinterest, YouTube, your blog, etc., as some employers have been known to ask applicants to log into their social media accounts during a job interview. Google your name and see what’s out there. The bottom line: If you wouldn’t say it or do it in a job interview, don’t post it on social media or on any online platform. Let your Facebook friends know that you’re looking for a new position. But don’t sound desperate. Instead, specify what you want to do and how you will be an asset to an employer. If you don’t know, you won’t be able to communicate that on your resume or in an interview. Finally, use the same banner across all your social media accounts. 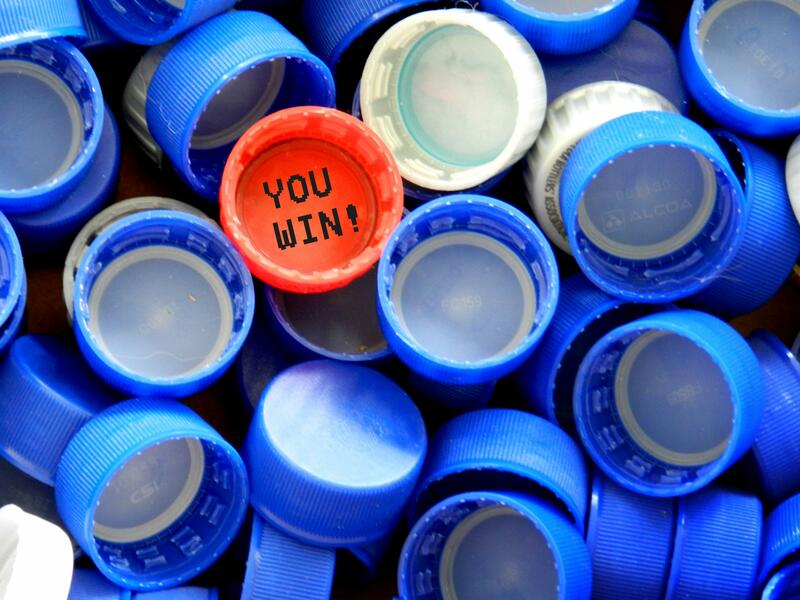 It’s your way of branding yourself. At the very least, use the same profile photo. What uses of Facebook have I missed? Do you have specific questions about using Facebook or other social media platforms in your job search? If so, click on Leave a comment below.